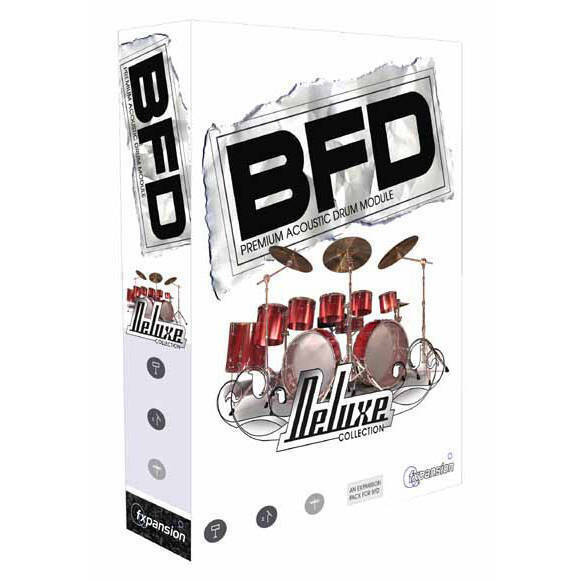 BFD Deluxe Collection is part of the increasing library of add-on packs for BFD, FXpansion's software acoustic drum module. Recorded at Steve Albini's Electrical Audio studio complex in Chicago, USA, it features legendary and classic kits captured by an incredible array of rare and vintage microphones. BFD Deluxe Collection's sounds are presented with unprecedented levels of detail, with many sounds played at 128 velocity layers.